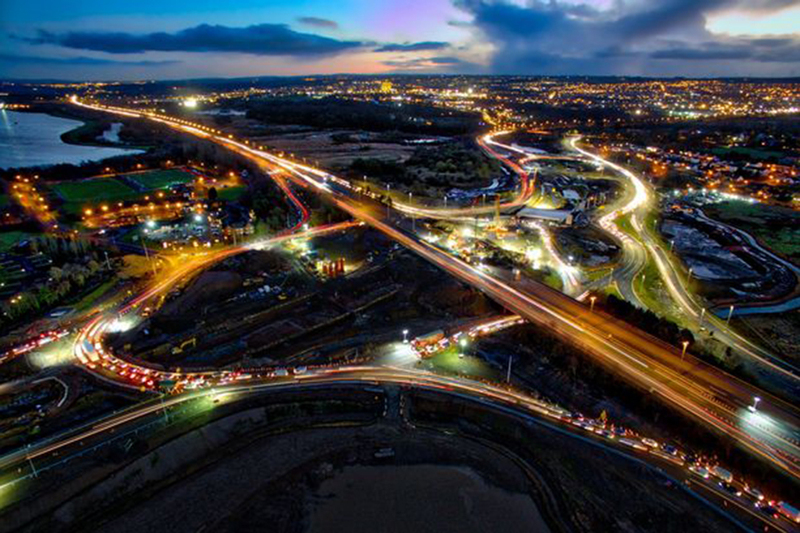 This commission involved upgrading key elements of Scotland’s trunk road network to motorway standard whilst separating strategic east-west traffic from more local north-south traffic, and included major improvements to M74 Junction 5, Raith and carriageway capacity improvements on M73 and M74. Built in the late 1960s/early 1970s this section of the A8 route forms a key element of Scotland’s trunk road network, serving both east-west and north-south traffic. It previously suffered from high levels of traffic congestion, in addition to sub-standard road layouts and junction configurations. The purpose of the project was to rectify these issues through implementation of strategic improvements to the network. Fairhurst was commissioned (in joint venture) by Transport Scotland in 2003 to develop the upgrade of the A8 corridor to motorway standard between Baillieston and Newhouse and to consider further associated trunk road improvements. Design and assess of consequential and complementary improvements that may be necessary elsewhere on the road network to ensure that the Baillieston to Newhouse improvements work efficiently. Deliver identified improvements through DMRB Stages 2 and 3, prepare and publish road and compulsory purchase orders, to support the client through the Statutory. Process and to act as Technical Advisor through the DBRO procurement process. following competitive tender, to act as Scottish Ministers Site Representative in the administration of the NPD DBFO site contract and the monitoring of construction.